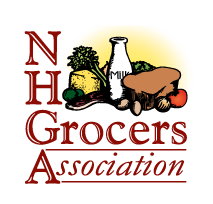 New Hampshire Grocers Association offers ­— Resources, Information Sharing, Professional Development and Networking Opportunities that you don’t want to miss! As a member of NHGA you have access to many “member only” benefits and programs. For more information on any “member only” programs please complete our form and someone will get back to you with more information or [click here] to download a request form with a complete list of available benefits. The Benefits Brokerage Agency, a subsidiary of the New Hampshire Grocers Association is a full service employee benefits brokerage providing insurance and solutions for group and individula need. Our experience and knowledge coupled with outstanding personalize service is unsurpassed in the industry. We have plans and options that assist employers in making effective benefits decisions. Our strategic approach of ongoing planning and review ensures timely solutions to your organization’s benefit needs. The New Hampshire Retail Association (NH Retail Assoc) and the New Hampshire Grocers Association (NHGA) have teamed together to offer a self-insured workers’ compensation program just for members. An association-based program gives the member more control, lower costs and better service. Easy Pay automated payment plans are available. 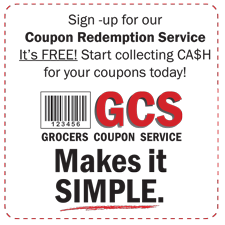 Let Grocers Coupon Service (GCS) take the hassle out of your coupon redemption processing. The only requirement is you first you must be a CURRENT MEMBER of your Trade Association. Second, a Security Deposit/Chargeback Reserve equal to 50% of the total value of your coupons will be deducted from your first two coupon shipments for future chargebacks. We also reserve the right to adjust your reserve account up or down according to the volume of your coupons. The New Hampshire Grocer Association has entered into a partnership with another non-profit association to bring a highly competitive credit card processing program to our members. Administered by First Data, we’ve been able to secure non-profit rates while eliminating the middleman, resulting in lowered rates and fees for members. We offer processing for all major credit cards and full debit card capability as well as gift card processing. Your daily settlement is electronically transmitted to the bank of your choice, so there is no need to change your current banking relationship. Your processing will be streamlined by utilizing the latest in electronic equipment, and you can either use your own existing electronic equipment, or purchase or rent equipment with our program. Learn more about our most popular programs.